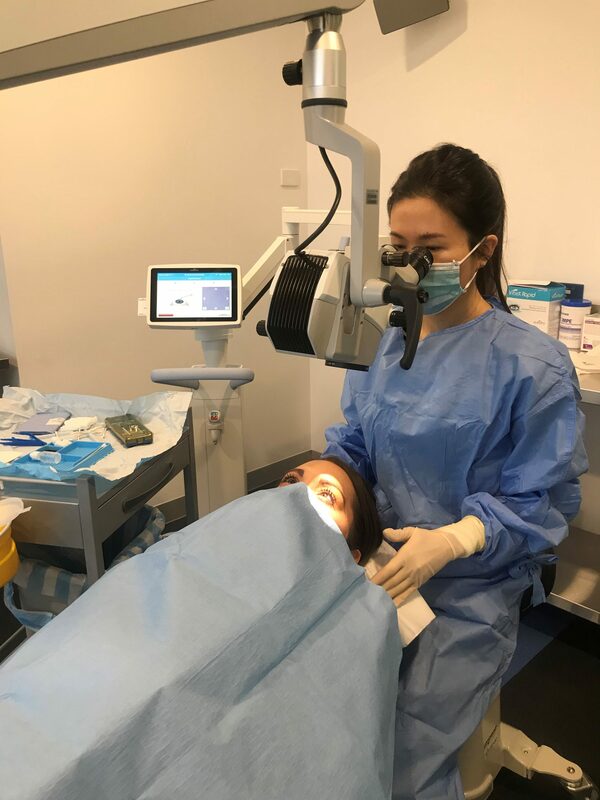 This week, Dr Joanne Goh, MCES Corneal and refractive surgeon, performed the first corneal cross linking procedure in-rooms since purchasing the Avendro. Dr Goh is a highly experienced Ophthalmologist, and has performed this particular procedure many times in the past. Corneal Cross linking (CXL) is a treatment that strengthens the cornea and stops Keratoconus from getting worse. It is recommended for patients whose Keratoconus is getting worse as demonstrated by corneal curvature scans. Studies have shown that CXL increases corneal strength by up to 300% and is successful in stopping keratoconus from getting worse in over 90% of patients. The procedure is painless and takes approximately 30 minutes per eye.